Rust - The image refers to the same article in another finish. The box shows the effective finish. 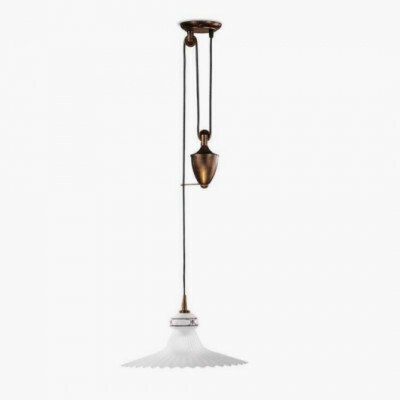 Vintage pendant lighting fixture with a decorated ceramic base, a metal frame with rust finishing, and a bell-shaped centrifuged etched glass diffuser. 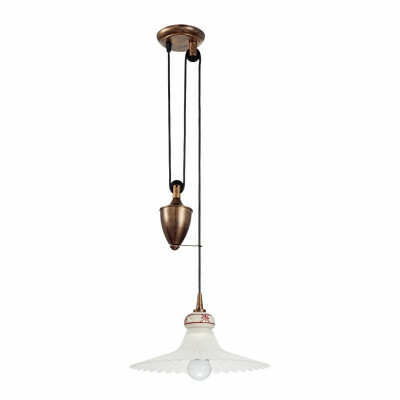 Suspended lamp with an elegant retro style. Table lamp from the Mami series, with a decorated ceramic base, a metal frame with rust finishing, and a bell-shaped centrifuged etched glass diffuser. This bedside table light measures 20 x 30 cm and uses one 7 watt CFL bulb. Wall mounted lamp from the Mami series, with a decorated ceramic base, a metal frame with rust finishing, and a bell-shaped centrifuged etched glass diffuser. 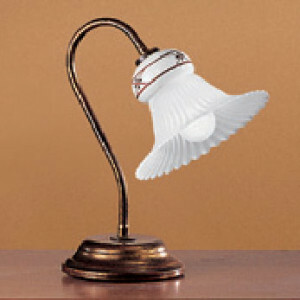 This lighting fixture measures 17 x 21 cm and uses one 7 watt CFL bulb. 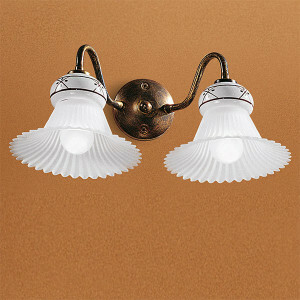 Wall mounted lighting fixture from the Mami series, with a decorated ceramic base, a metal frame with rust finishing, and a bell-shaped centrifuged etched glass diffuser. 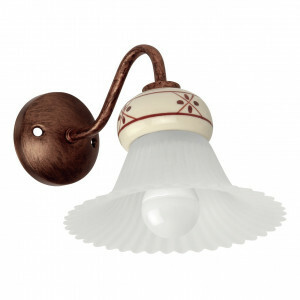 This light fitting measures 17 x 20 cm and uses one 7 watt CFL bulb. 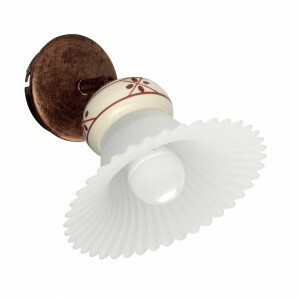 Wall light from the Mami product line, with a decorated ceramic base, a metal frame with rust finishing, and a bell-shaped centrifuged etched glass diffuser. 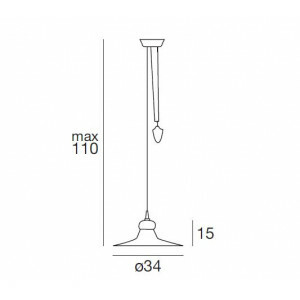 This light fitting measures 39 x 18 cm and uses two 7 watt CFL bulbs.